According to Johan Cruyff: “My vision on sport management is quite simple. I think people with a passion for sport are the best to lead sport organizations”. At the Johan Cruyff Institute, they know that a passion for sport also drives education and development. Its students, from elite athletes to sport and business professionals, have one common goal: to become the next generation of leaders in sport management. The way to bring this vision into action is based on common sense, pragmatism, intuition and optimism. At the Johan Cruyff Institute, challenges are best faced together, in a team spirit, aiming to be knowledgeable and inspiring others for the benefit of all. More than 9.000 students all over the world have experienced its online, onsite and on campus learning programs in Sport Management, Sport Marketing, Sponsorship, Coaching and Football Business. They are the next generation of leaders ready to manage sport organizations all over the globe. 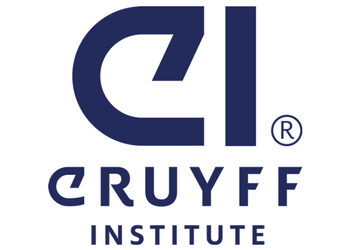 Its international presence now represents 5 Johan Cruyff Institutes (postgraduate and executive education), 3 Johan Cruyff Academies (graduate education) and 5 Johan Cruyff Colleges (vocational training). The Fundamentals of Sports Management at the Johan Cruyff Institute has provided me with a solid foundation for understanding the various financial, management, marketing, … aspects of the sporting world. In my case, the course is online, and the service and methodology applied make you have a constant interaction with your classmates and a follow-up to your measure by the tutor. If you're the owner or representative of Johan Cruyff Institute, you can claim this University and build a better profile. Interested in studying at Johan Cruyff Institute?